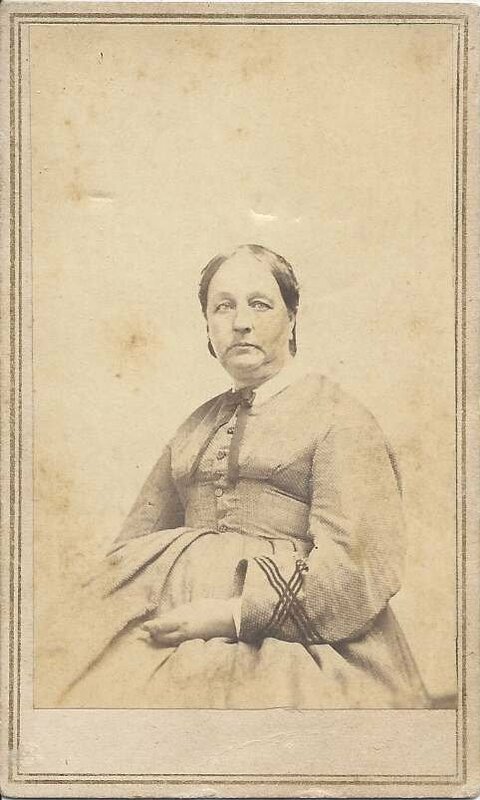 Carte de visite of a woman identified on reverse as Mrs. D. B. Gardiner of 143 Main Street, Westerly, Rhode Island. I don't know if the initials D. B. were hers or those of her husband. Also, I'm not sure if Gardiner was the correct spelling of her name; some records for the same people show Gardner and Gardiner interchangeably. There's a Desire B. Gardiner, daughter of Caroline Sisson, and wife of Charles Gardiner, born about 1840, listed in the 1880 Census of Westerly, Rhode Island. I'm thinking that the woman in the photograph was born earlier than 1840, but I'd appreciate readers' feelings on that. There's a Dorcas B. Gardiner, born about 1832, who lived at Westerly, Rhode Island, but Gardiner was her maiden name. She was the daughter Jabez Champlin Gardiner and wife Eliza (Bicknell) Gardiner. I suppose it's possible that the person who wrote the identification had the marital status wrong. And, again, I think the woman in the CDV was born earlier than 1832. 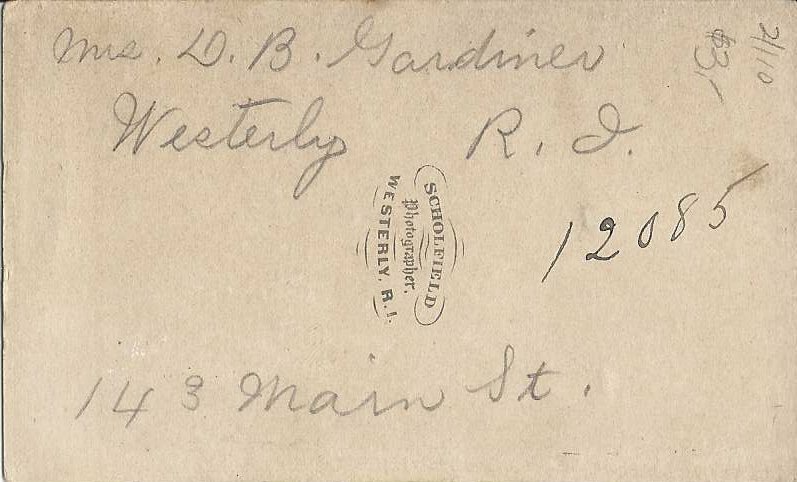 If you have an idea of the complete identity of Mrs. D. B. Gardiner of 143 Main Street, Westerly, Rhode Island, please leave a comment or contact me directly. Thanks!